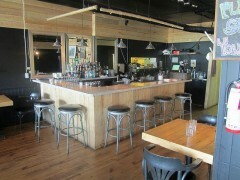 Burnt Toast is an eclectic fun and funky little restaurant in the heart of downtown Whitehorse. We provide good food all made in house. We use fresh ingredients and source as much as we can locally. We take pride in offering great tasting food at affordable prices. All entrees are under $20, so the whole family can enjoy a meal for a reasonable cost. We provide catering services for small or large groups and events. Customized menus are available to suite your taste & budget.